So far so batty. Kaurismaki’s universe is similarly surreal. In Le Havre the iconography of the ‘fifties (clothing, cars and interiors) is mixed with a modern tale of (illegal) migration. Kaurismaki’s melodrama focuses upon the solidarity of the working classes (also from a bygone age?) in the face of repression. The interiors of his mise en scene emphasise turquoise, for reasons that escape me, but doesn’t half look good. It’s also good to see old, really old not just what’s old to young people, characters as protagonists. Little Bob and his band, performing in a charity concert to raise money for the protagonist, cuts a mean impression of Springsteen too. 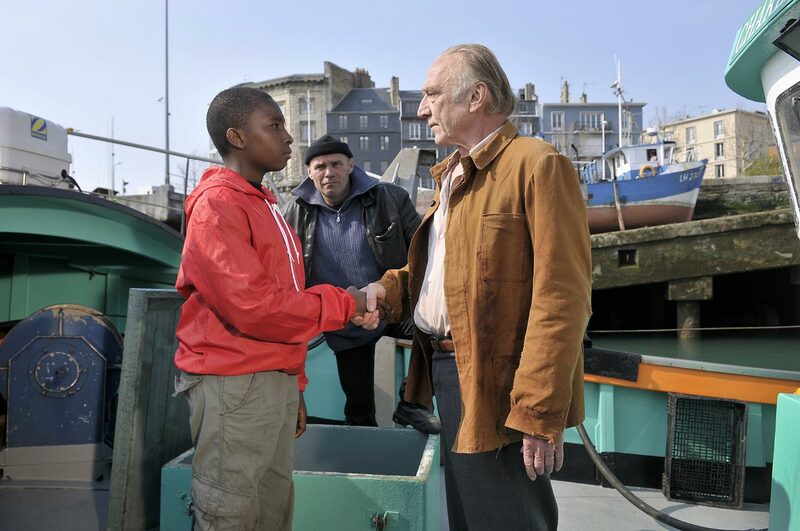 The narrative focuses upon the attempts of a shoeshine, whose wife’s in hospital, to help a young African lad get to London to be reunited with his mother. He’s shadowed by a police inspector, tailored all in black, and helped, of course, by Laika; the all-important dog. It would be churlish to complain that a film about the parents of psychoanalysis was too talky, so I won’t. The film’s built around the possible, as I understand it, sexual relationship between Carl Jung and one of his patients, Sabine Spielrein, superbly played by Keira Knightley. Jung’s infidelity was prompted by Otto Gross, a brilliantly demented Vincent Cassel, and Jung’s rather prim wife (no excuse of course). However, the film actually seems to be about the schism between Freud and Jung and I’m not clear what the supposed sexual liaison had to do with this. Jung’s immorality may have confirmed to Freud that he wasn’t ‘fit’ to be his heir apparent, but it was Jung’s dabbling in mysticism that actually ‘did’ for him. So I’m not sure what the film is doing, but it does it extremely well. Immaculately shot, by Cronenburg’s regular cinematographer Peter Suschitzky, excellent performance (Mortenson’s Freud is exceptional), beautiful locations; overall an amenable film. But I expect more from Cronenburg. I am grateful to the film for suggesting that Spielrein was an important influence on the development of psychoanalysis; women are usually rubbed out of history, men’s fragile ego’s can’t seem to share the glory. It’s interesting that the hysteria in women, that the psychoanalysts treated, no longer exists. Presumably this is due to the advances in feminism so women are more likely to be treated as human’s rather than children to be put on a pedestal and to be screwed occasionally. In an interview in Sight & Sound Cronenburg says that recently advances in MRI scans suggests that there’s a lot of brain activity that cannot be explained and so Freud, and his subsconscious, may be about to be proved correct. A friend regularly complains about Knightley’s constant pouting; after this, Knightley’s gurning will have to be added to the list. It’s quite exceptional that a star should expose herself in this way. It’s quite a startling opening to the film; the most Cronenburgian moment. What’s the point in filming a play? Shakespeare’s robust enough to take virtually anything but a one-set, four-hander…? Well, you get to cast Jodie Foster and Kate Winslet; not to mention John C Reilly. And they are a treat; particularly Winslet: an arched eyebrow is enough to convey her annoyance at her husband’s use of his mobile phone. But is that sufficient? It would have been if the play had lived up to its billing: carnage. However there just wasn’t enough of it. It was meant to be skewering bourgeois pretensions, (particularly liberal) but at the film’s fade out I assumed there’d be a second act when things would really get serious. Lars von Trier’s need to provoke ended badly for him at Cannes this year when he professed sympathy for Hitler. He isn’t a Nazi, as he said, and it’s best to let his films do his talking. The fracas was a distraction from Melancholia and Kirsten Dunst, winner of the best actress award. Melancholia is far more straightforward than his last film, Antichrist, but shares an opening that’s awash with beautiful super-slow motion images. This, in effect a prelude, tells us the narrative to come and emphasises the film’s about the depressive Justine’s (Dunst) state of mind. This expressionist sequence, revisited to an extent at the end, is in stark contrast the part one (‘Justine’) which focuses on her wedding party. Von Trier’s pricking of bourgeois rituals, and hypocrisy, takes us back to Festen (Denmark, 1998), directed by Tomas Vinterberg, the first of the Dogme95 films. Dogme95 was anti-Hollywood, swearing a ‘vow of chastity’ in only using, for example, natural lighting, handheld camera and definitely no special effects. Von Trier was co-author, along with Vinterberg, of the manifesto but has long since departed from its tenets. However, this section utilises Dogme95’s trademark febrile camera and jump cuts. Part two, ‘Claire’, focuses on Justine’s sister’s attempts to help the latter out of her depression. Science fiction enters the narrative as the planet Melancholia is approaching Earth, though we are promised it will merely ‘fly by’ and everyone will be saved. The symbolism is clear for all and generates a quite brilliant climax. However, and maybe this is a result of seeing the film after the immaculately directed We Need to Talk About Kevin, von Trier’s direction of the first part simply comes across as sloppy and lazy. Whilst Vinterberg’s similar direction worked brilliantly in Festen, the contrast with the the prelude and the later sections, where we are viewing an expressionist landscape, is just too great a contrast. There are many references in the film; the above image, with Wagner’s Liebestod dominant on the soundtrack, reminded me of Bunuel-Dali’s Un Chien Andalou (France, 1929) and Hamlet’s Ophelia tangentially appears in an image of Justine floating on a river and a painting of the scene is shown. Chien Andalou is about an ‘amour fou’ and Ophelia goes mad because of love. The name Justine reminds up of Marquis de Sade’s character, the ‘good sister’ suggesting that she is one with knowledge unlike the ‘sane’ Claire. In addition, the mansion, and its gardens, reference Last Year in Marienbad (France 1961), Alain Resnais’ engimatic film, which might be about a love affair that never happened. If nothing else, von Trier is cineliterate. That said, this is a film of tremendous imagination that, at its best, touches brilliance.